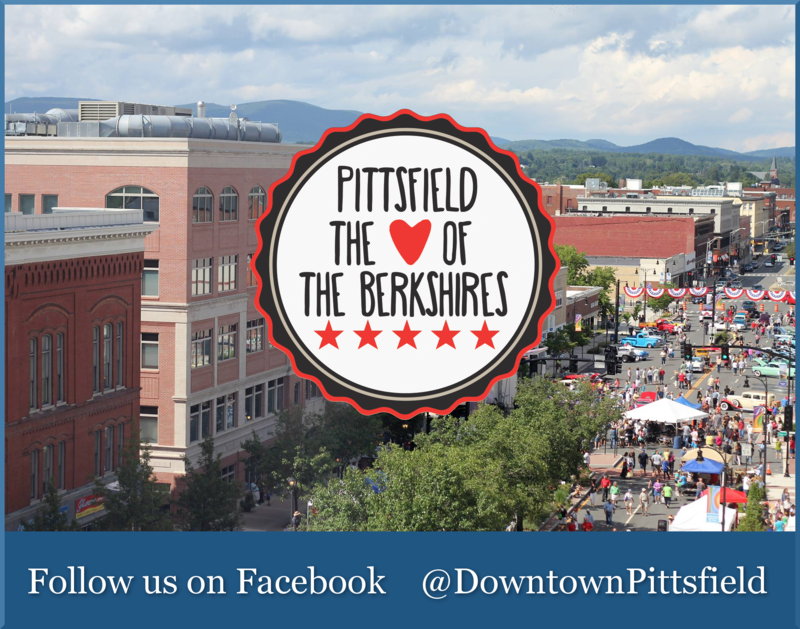 WEDNESDAY, OCTOBER 10TH @ FRAMEWORK, PITTSFIELD COWORKING. 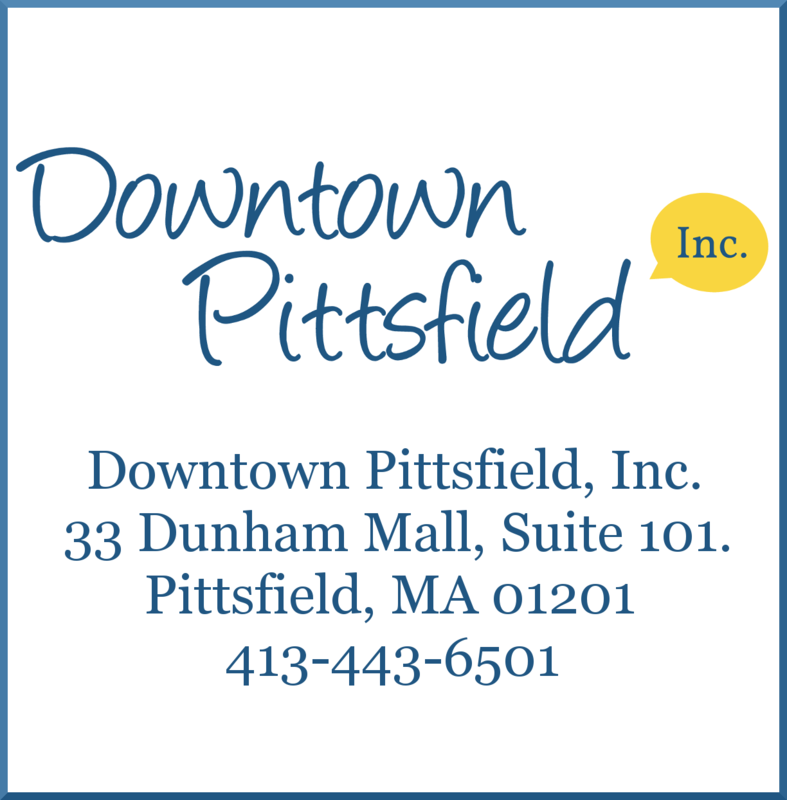 Pittsfield business owners and community members are not short on ideas to Grow the DPI membership base and advance the ongoing growth of downtown. 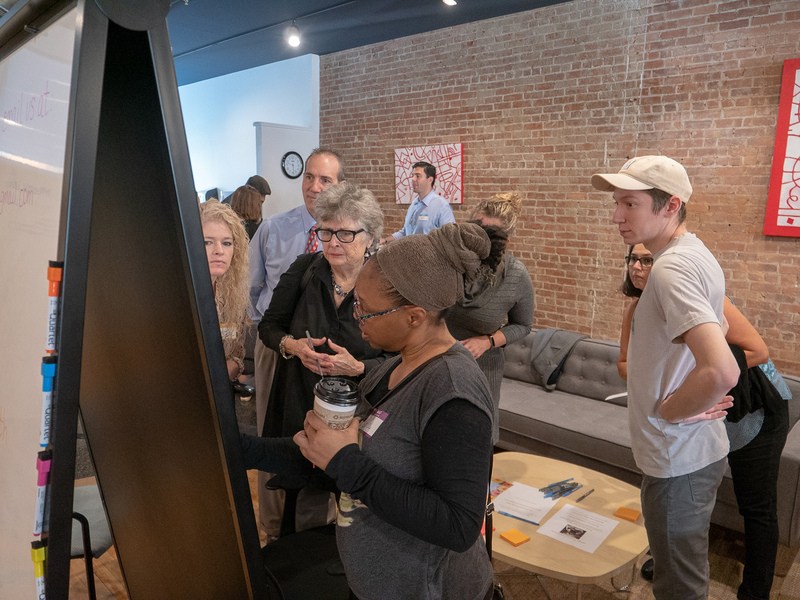 In partnership with R3SET Enterprises, Downtown Pittsfield, Inc. (DPI) facilitated a membership centric Idea Jam to understand how DPI membership benefits can better support and empower downtown business. 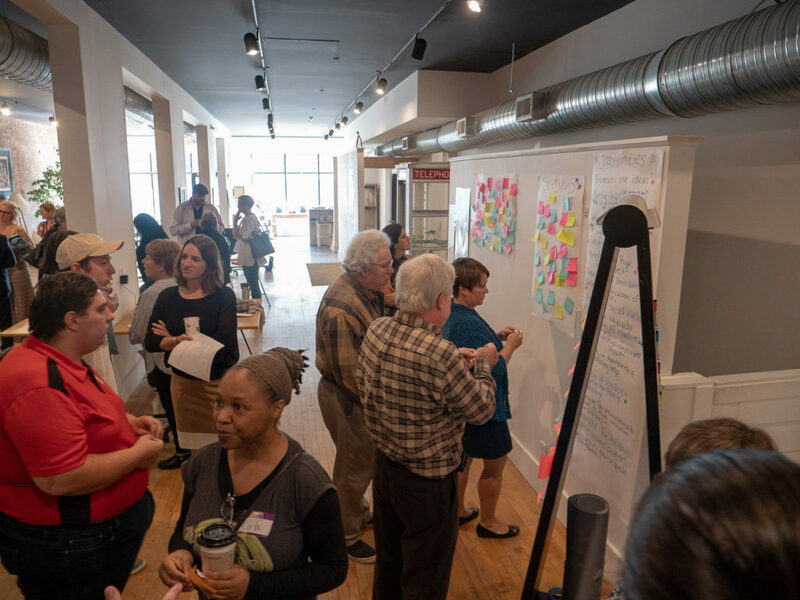 Fifty property owners, downtown business owners, community advocates, local artists, Pittsfield residents and more took time out of their busy schedule to participate in an Idea Jam in order to provide DPI feedback and constructive ideas to evaluate and build on the member experience. At the Idea Jam, community members (aka ‘idea jammers’) enjoyed fresh bagels graciously donated by Babbling Brooke Bagels, divided up into three groups, and put their thinking caps on. 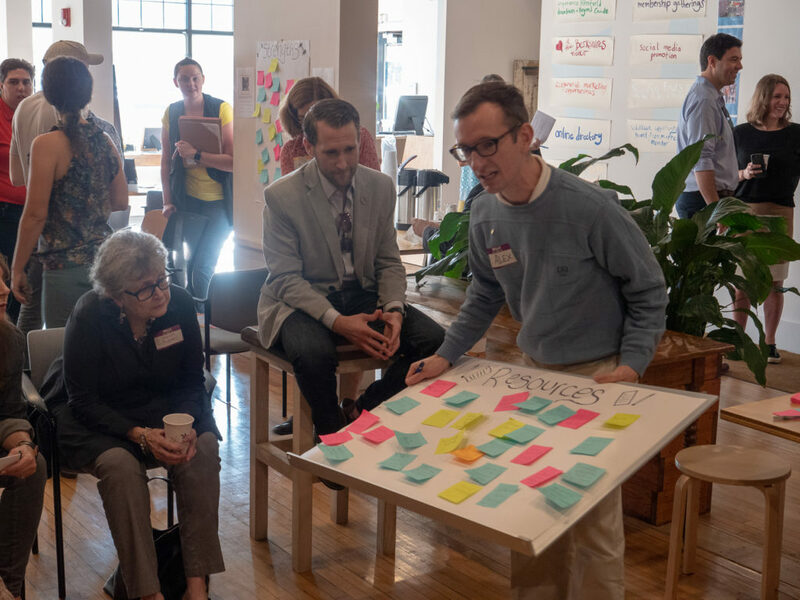 At each design thinking station, idea jammers were armed with pens, stickies, and a big board to stick ideas onto. Each station lasted 8 – 10 minutes, at which point idea jammers rotated to a new station, reviewed and “up-voted” previous group ideas, and added new ideas not yet represented. After going through the exercise of identifying and discussing strengths, challenges, and resources, the three groups joined together to discuss ‘Opportunities’. One at a time, members shared what they saw as the big opportunities for DPI membership moving forward. The event culminated in a colored sticker voting session where each idea jammer voted on the three ideas they liked the most. A full report on the ideas generated by members at the event will be published later next week. Stay tuned for video clips from the event and more membership updates in the near future!